Burn more calories per hour than other indoor fitness equipment Excellent to burn body fat, slim down legs, thighs, hips and keeps you in shape Control blood pressure, which helps in reducing stress, aging and Relieves depression.Increase stamina, rejuvenates and give more energy to muscles Improves posture and skin tone.Helps in restoring free movement of stiff joints, adds strength to muscles and reduces back fatigue. Activate heart race and oxygen intake which develops endurance and increases the efficiency of heart and lungs. 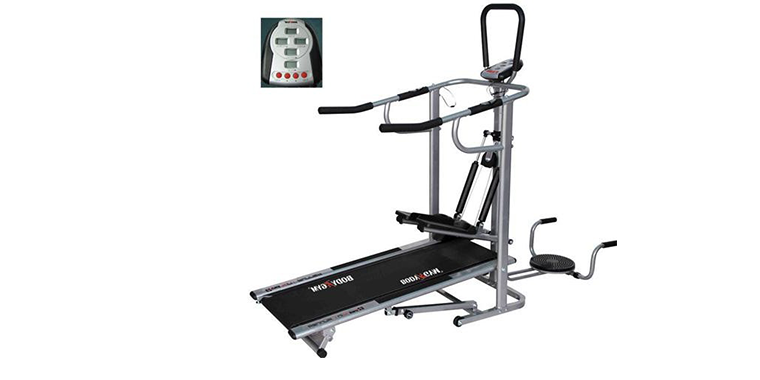 Stepper is perfect in improving heart and circulatory function and ideal in strengthening leg muscles. Twister plate to work on slimming your waist.